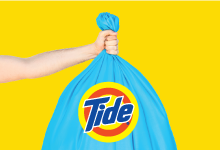 Tide Sooner Laundry is designed to give you more time to do valuable things while in college. College can be stressful and we take laundry off your plate. Drop dirty clothes off at one of your trucks or directly from you house, we'll clean it with Tide and fold your clothes like a gift. You save 80 hours a year to put toward more more important things. Get 20lbs (that's a lot) of clean and folded laundry every week.